I want to have a letterhead format with the corporate logo at the very top of the paper. I have figured out how the fill the graphics with the full breadth of the page with the information on this webpage- How to have a figure touch the edge of the page?. However I'm still struggling to align the top side of the graphics (logo) with the top edge of the paper. You need to raise the image into the upper margin. This can be done using \raisebox. 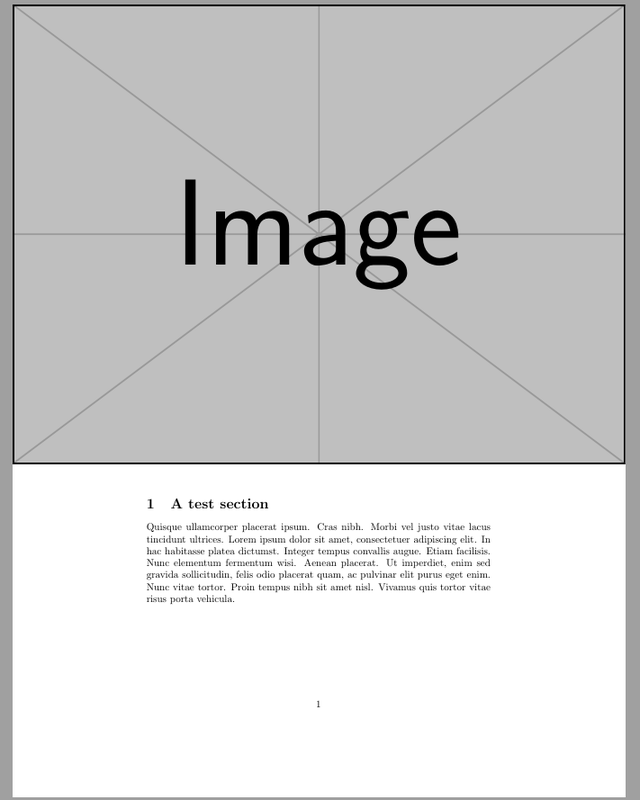 I used the layout package with the \layout macro to display all length used by LaTeX to create the top of the page. The distance is 1in+\voffset+\topmargin+\headheight+\headsep. You need to use the optional argument to set the new height by subtracting that value from the original height, which is defined as \height here. This also works if put into a header by simply removing \headheight and \headsep from the equation. Of course you can also my adjustbox package to do all this with less code. Not the answer you're looking for? Browse other questions tagged graphics positioning alignment page or ask your own question. 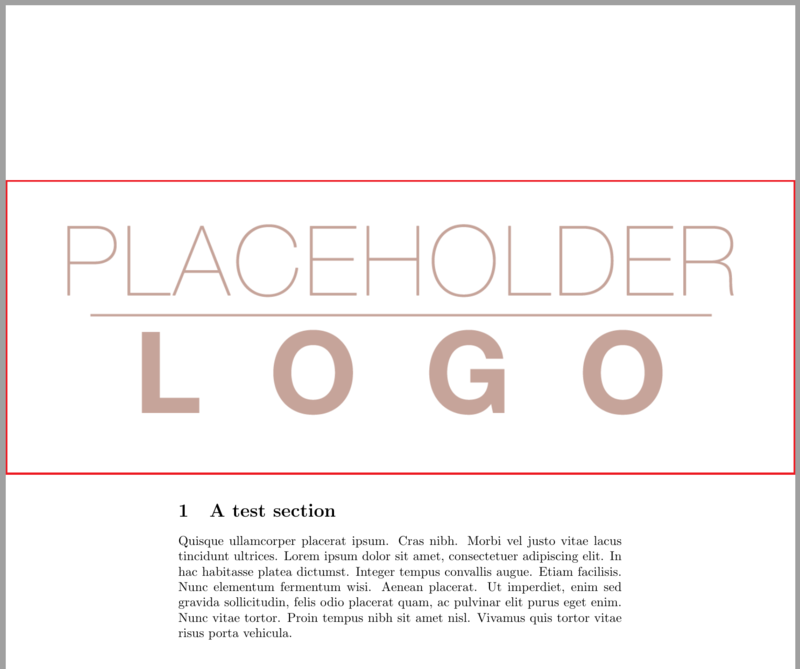 How to have a figure touch the edge of the page? Position an image to touch edges of page? How to place edge-to-edge image across top of page? Why my figure isn't at top of the text?